First, let me tell you a little about my background. As a sake professional, I have spent the past 20 years working to raise awareness about Japanese sake and other alcoholic drinks from Japan. In 2013, I received the prestigious title of Sake Samurai from the Japan Sake Brewers Association Junior Council in recognition for my work in promoting sake and Japanese culture in general. It was a surprise to receive an award like this, especially since the road that brought me here began with a passing interest in Japan; I never planned to be recognised as a sake professional. My connection to Japan originated at a young age with simply watching Japanese cartoons (anime) on TV. However, as I grew older the number of Japan-inspired interests grew as if there was something that kept drawing me back to be emotionally invested in the country. When I was old enough to go out to dine it was a natural choice for me to start frequenting Japanese restaurants and in doing so gained an even greater understanding of the food, culture and this amazing drink, sake. My first experience of premium Japanese sake came in 1996 on my first trip to Japan. I travelled across the country over a period of 5 weeks, often eating in local izakaya featuring sake from the region. That was the moment when it truly struck home just how amazing Japanese sake is, and how good a partner it makes with a wide range of foods. I was also taken by the role of the izakaya as a meeting place, that brings people together in a friendly atmosphere where there was a comradery shared over sake. This was the beginning of my love affair with the rich world of Japanese food and sake, and my personal desire to build a stronger connection with the country led to my desire to share my interests in and passion for Japan with others. The journey that then began to learn more about sake tasting and food pairings led to me becoming a sake professional. One common trait of sake is that it makes for a good partner to food. Whether high in salt, deep fried, or full bodied, sake has the ability to make a good partner to all dishes no matter what you serve. In particular, where wine makes a poor partner with foods that are high in salt, one of the key traits of sake is that it matches extremely well with foods that are very salty. When it comes to wine, you choose what to drink first, then look for a matching dish second. In other words, wine takes centre stage on the table because it makes you consider what to eat based on your selection of wine. You might even say that wine is the leader, and that food follows after. In that sense, sake and food both stand on an even setting. Sake is flexible in its pairing with food, and helps bring out the flavour of the food itself. Sake is a drink that combines a full aroma with the ability to perfectly match any food you put it with. The three main grades of sake are: daijinjo, ginjo, and honjozo. The principle difference between them is the degree to which the rice used is polished. Daiginjo is generally considered a high-grade sake where an extremely large proportion of the rice has been polished away, making it in most cases delicate in style. 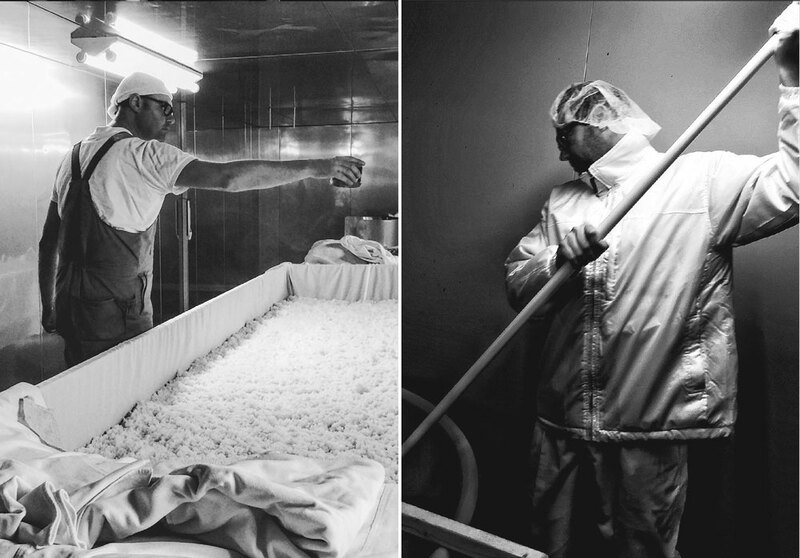 In highly milled grades, certain rice strains are commonly used such as Yamada Nishiki, since it is known for its smooth and translucent mouthfeel and, when partnered with the right yeast, can produce stunning floral or fruity notes. junmai styles signify sake where the alcohol is derived from fermentation alone, whereas non-junmai grades do contain the addition of a small amount of brewers alcohol. By comparison, the ginjo and honjozo categories retain a stronger aroma of rice, and are fuller both in body and flavour. These varieties are comparable in style to a fuller-bodied wine. It is important to note that when we discuss these characteristics of grades, rice and styles we usually talk in general terms, however, there are always exceptions to the rule. This variety and variation brought about by the many factors that can be manipulated during brewing and of course the skill and intent of the brewers, make sake such a fascinating journey of discovery. In addition to this categorisation based on the proportion of rice polishing, there are also many varieties of sake based on other factors as well. For example, the type of sake rice used in production. Yamada Nishiki is one of the most famous, and is used in high-quality sake while other types of sake rice are used in sake where the aroma of rice is more strongly pronounced. In addition to the sake rice itself as a component of sake, conditions such as differences in the distinct seasons in Japan and regional climates also give birth to variations. Sake brewers take into account a variety of conditions, such as the climate and the condition of local water in search of the right answer to the kind of sake rice to use and ideas about the kind of sake to create. This is also where sake brewers can show off their skill in brewing. Styles of drinking, from cold to room temperature and warm then have a further effect on the flavour of the finished sake, another of the points that highlights the depth and joy of sake. Over the years, I have introduced sake in a variety of ways, such as at large-scale dinners, sake classes that teach professional knowledge, at tasting events, and more. No matter the situation, I have always strived to introduce sake of good quality so that guests can discover the wonders of sake and hopefully that sparks an interest in learning more about it. I feel the best way to learn about sake is by enjoying it with food and in doing so, you will can understand what great partners they make. One of the easiest ways to appreciate sake is to try a variety of different sake at the same sitting. This gives you a chance to easily appreciate how styles can vary whether it be sweet, dry, full or light bodied and so on. Differences in sake can be subtle, but equipped with a little knowledge you will soon begin to appreciate its diverse offering. For those interested in learning more about sake, know that you have an enjoyable journey ahead. Relax and enjoy your trip out into the world of Japanese sake. With 20 years of experience promoting Japanese beverages, Andre Bishop is recognised as Australia’s leading authority on sake. As a pioneer of the local sake scene he continues to provide consulting, education and promotional services to assist both the industry and the consumer. 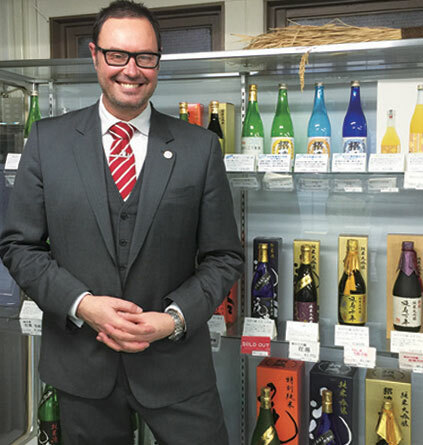 He shares his passion for sake with others in order to encourage more Australians to discover the joys of sake and Japanese culture in general.